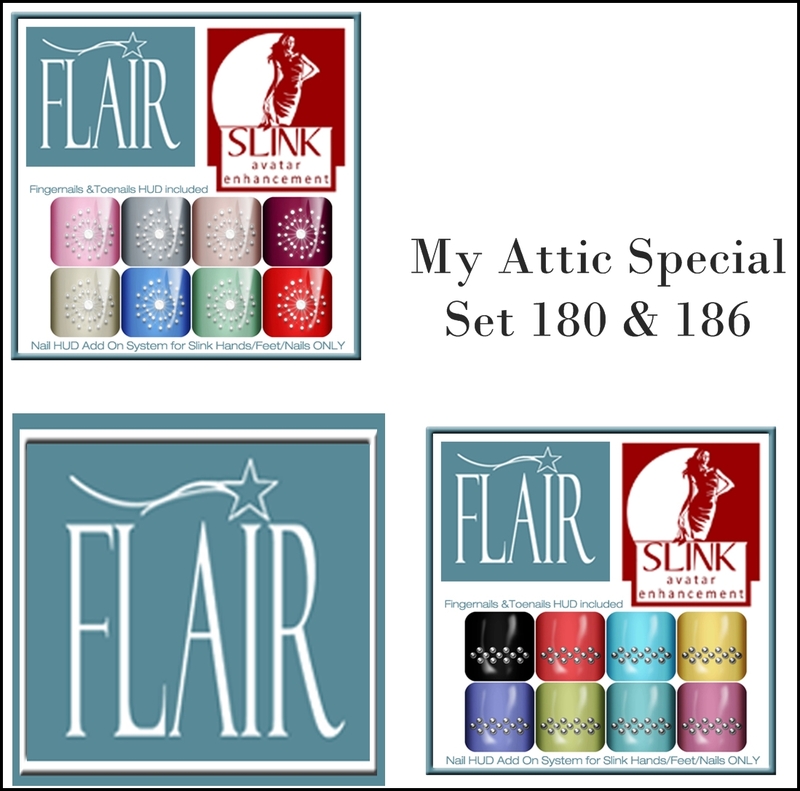 LAST HOURS OF THE 50% OFF EVERYTHING FLAIR SALE! Ends at Midnight tonight. 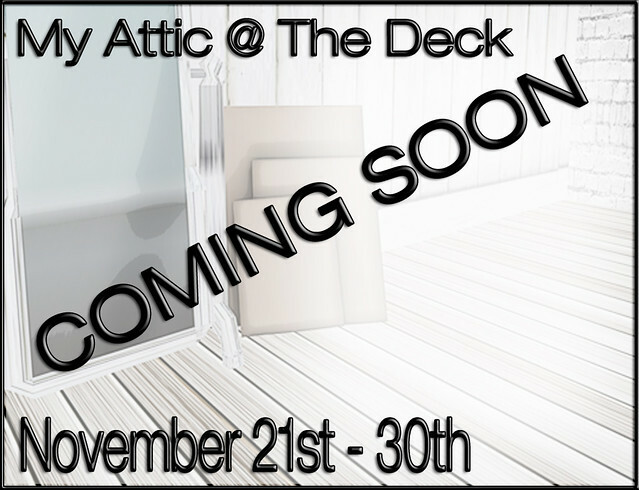 Also don’t forget that My Attic is in its last days too, so stop on by both as you wander around The Deck sim. 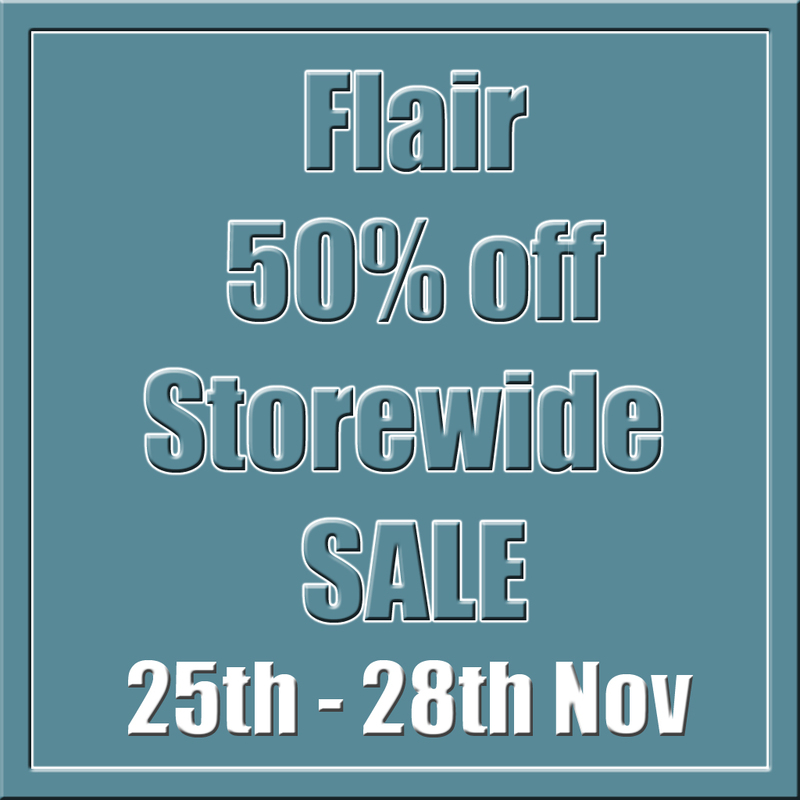 Flair is having a 50% OFF Everything in the store SALE. 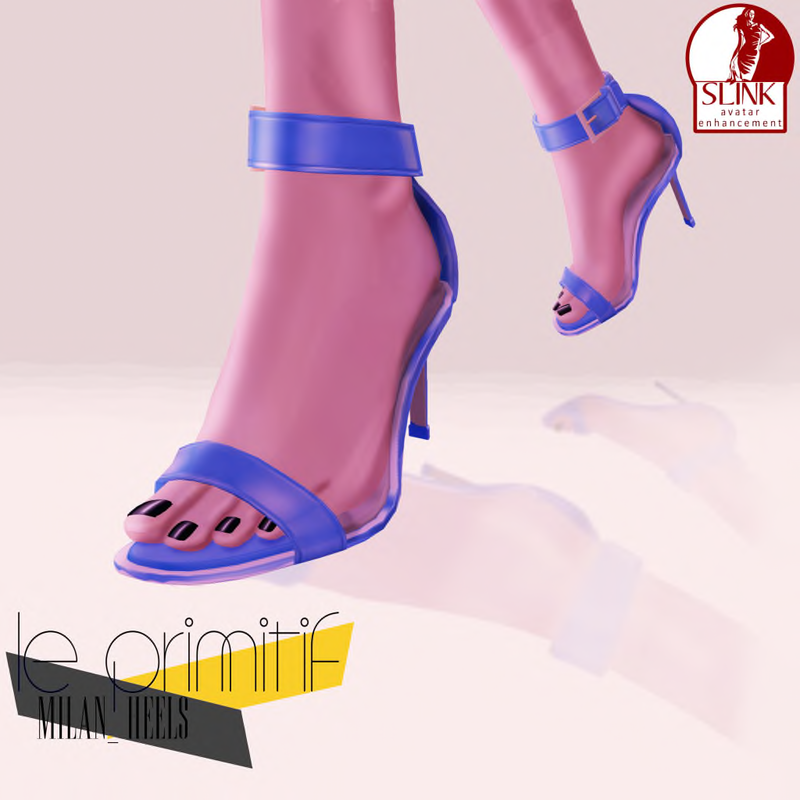 Over 180 Nail packs, stockings and leggings, all reduced. Also a reminder that My Attic is on until the 30th of November, so be sure to get all the wonderful items while you can. 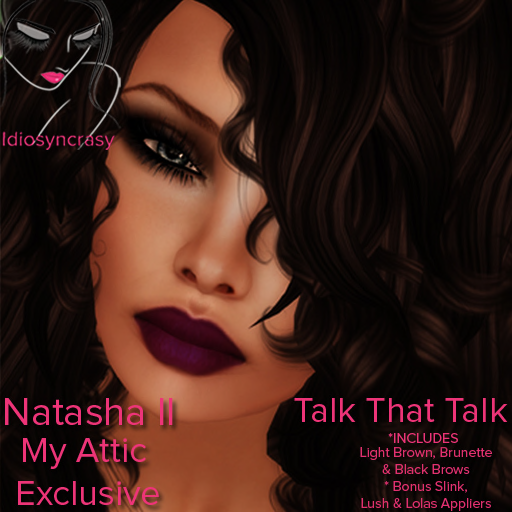 A Reminder that My Attic is already started, and runs until the 30th Of November, so only a few more days left to get incredible items for only 95L. Miel has this great tartan shirt with texture change options. so drop by The Deck and see all the amazing stores and what they have to offer . Due to a brain dysfunction, I have deleted all subscribers from the My Attic Subscriber list. To entice you to take the time to come back and resubscribe, also to of course visit the event, I have put a NEW Set of Avatar Enhanced Nails in the subscriber that will be gifted to you when you join, thank you so much and I am sorry for any hassle this causes. You will find the subscriber at the entrance to the event. 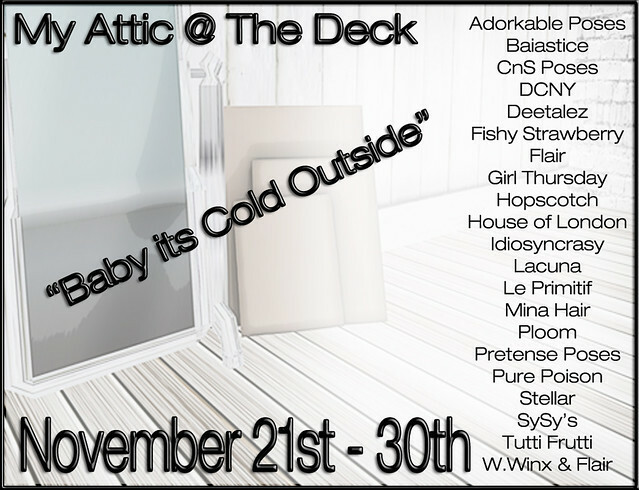 This edition of My Attic @ The Deck is ‘Baby its Cold Outside’ and the stores participating have done a wonderful job. All items are 95L each during the ten day event, and then full price in the stores afterwards. So do not miss out on the savings. My Attic @ The Deck is NOW OPEN. 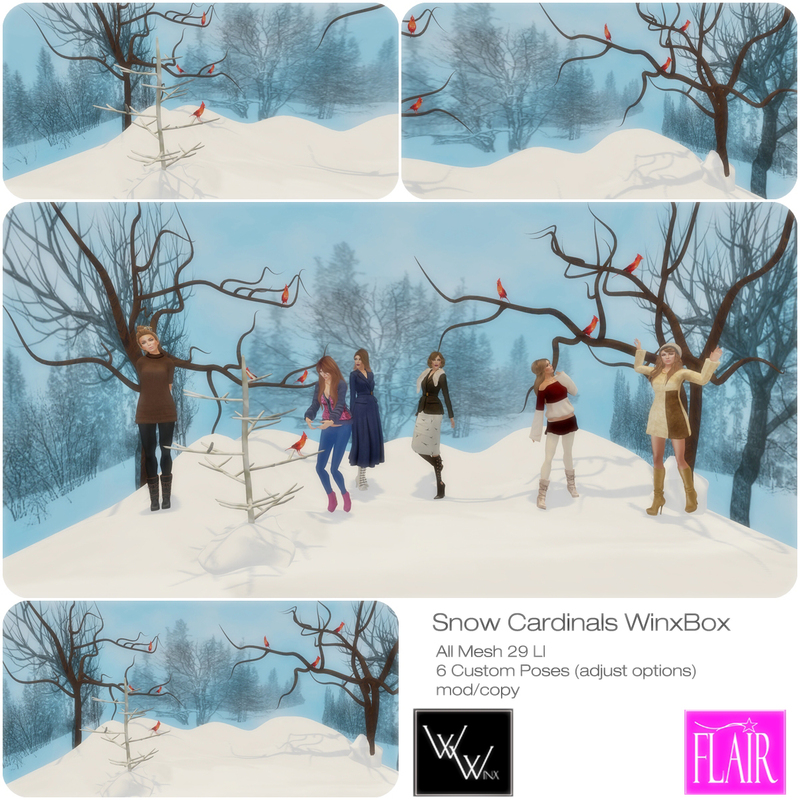 This edition is “Baby it’s Cold Outside” and the participants have done an incredible job, of providing great items for only 95L during the ten day event. Come and join us, and grab the savings, all items will be full price in the stores after the event. 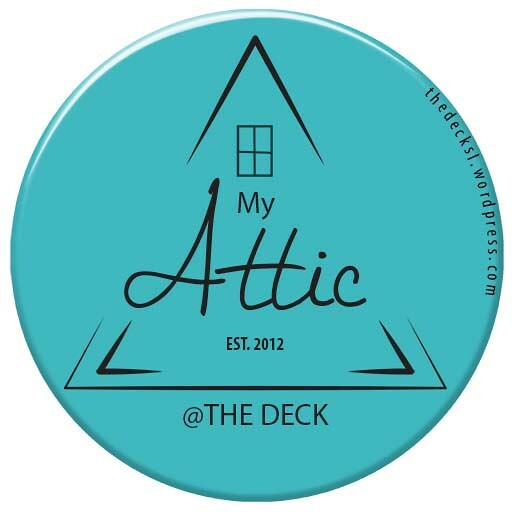 Coming Soon to The Deck, the next My Attic collection, for ten days all items will be 95L only during the event. We hope that you will join us. You can subscribe at the entrance to the event, so that you can be the first to know about all the items available.